Chapman's Peak drive was originally built way back in 1922. It was then called the Hout bay Noorde Hoek Road. The drive is considered to be one of the most scenic in the world. It attracted tourists from all over the world who drove around its narrow roads and saw some of the fantastic scenery on offer. All this came to an end on the 29th of December 1999 when a falling rock brought about the untimely death of a Noordhoek resident. Why was this road suddenly unsafe for motorists when for 77 years this road had been used daily with only a few casualties over that period. A few months prior to December 1999 Cape Town had been ravaged by a number of uncontrollable bush fires. 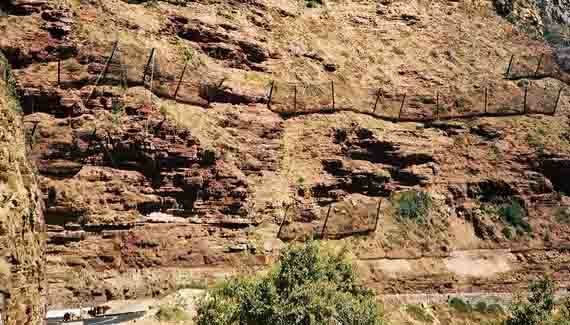 One of them ravaged Chapman's Peak and cleared it of all vegetation. Due to the lack of vegetation there was nothing to bind the rocks in place so they rained down onto the roadway. It was obviously very unsafe so the Premier of the Cape closed the road to the public in January 2000. This caused quite a furore as business to Hout Bay and Noordhoek dropped and residents who had used the road to get to Cape Town had to find alternate routes, which, landed them in major traffic jams. A number of sporting events such as the Two Oceans Marathon and the Pick and Pay Cycle tour had to be rerouted over Ou Kaapse Weg. As the loss of this tourist attraction to the tourist industry took hold there was more clamouring to get the road reopened. In 2001 the Cape Provincial Roads Administration took over the project of rebuilding the road. Tenders were put out and two consortiums were instructed to put in their final proposals for the reconstruction and protection of the road. Once their proposals had been studied and accepted the chosen consortium set to work. They put abseilers up on the mountain slopes to loosen all rocks that might slide down onto the road way. This section of reinforced roofing built to stop rocks landing on the road. 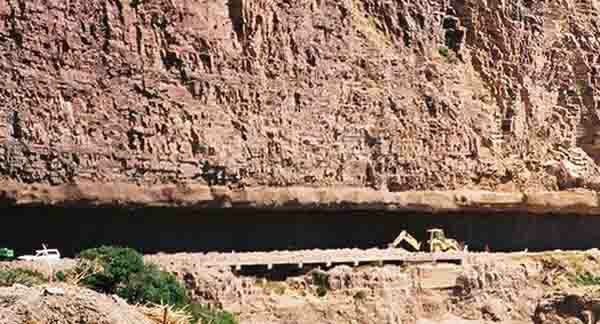 Once this was completed a section of the cliff face had to be cut away to form a roof over the roadway so that falling rocks would not land on traffic. In other areas catch fences had to be erected to stop large boulders from rolling down the mountain onto the road. 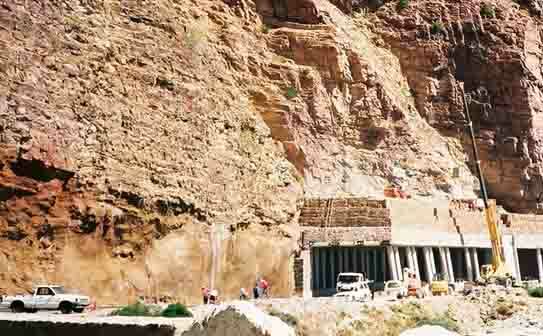 Most of the work was completed and the road was reopened to the public in December 2003. In the first week of its opening a rock landed on a motor vehicle smashing its rear windscreen and narrowly missed occupants in the car. Subsequently another large boulder has come rolling down the mountain and having bounced off one of the new roofs causing no damage landed up on the lower slopes of Chapman's Peak below the roadway. If one looks at the new safety measures that have been put in place one can see that it is impossible to cover all areas from rockfalls. 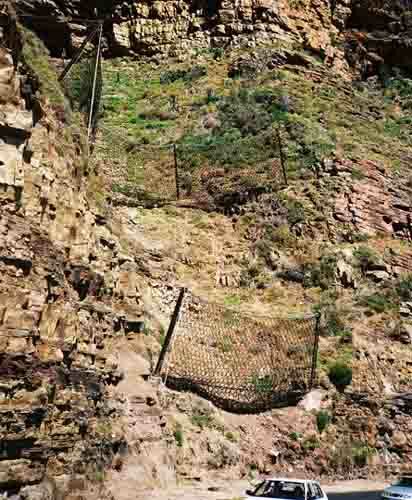 The most dangerous areas have been identified and catch fences have been erected to stop the rock falls in these. The mountain side is now much safer for visitors and due to the measures taken the best scenery in the world has once again been restored to visitors and locals. 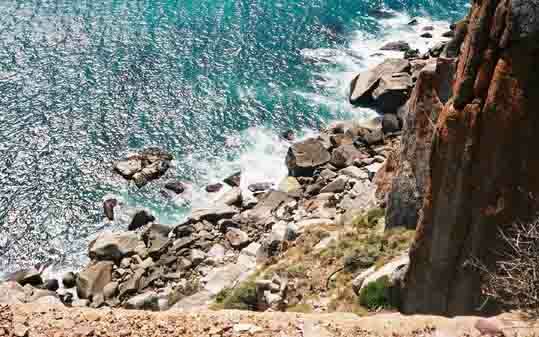 To pay for the new roadway a toll has been introduced for those wanting to do the full drive around Chapman's Peak. It costs R20.00 for a car and a little bit more for larger vehicles. One can drive as far as the lookout point from Hout Bay side and then return for no cost. Only those doing the full trip are required to pay. 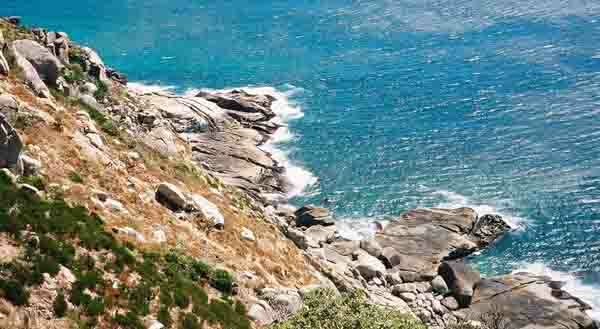 If you don't mind walking, a hike along the roadway is possible from the lookout point towards Noordhoek. One can get some close up views of the scenery and the improvements that have been made if you do this. Chappies is open and waiting for your visit. Since September 2008 Chapman's Peak has once again been closed to the public due to rockfalls caused by the severe winter we had in 2008. With the lethargy been shown by authorities to repair the road it appears that it will still be closed when the Fifa World cup tournament takes place in 2010. If that is the case visitors to our country will miss some spectacular scenery on our Atlantic coastline.